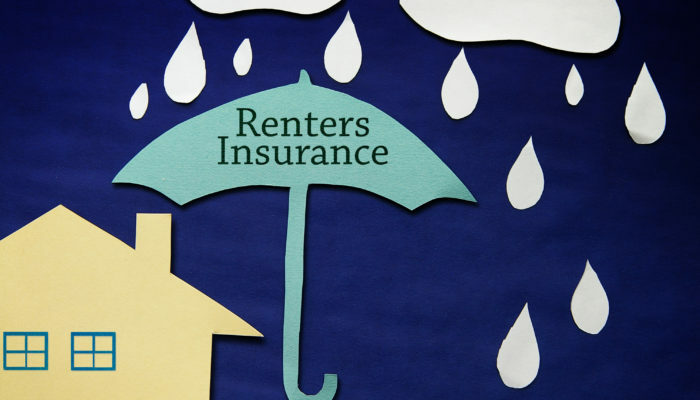 Renters Insurance – It Just Makes Sense! We all know that Auto Insurance is necessary to register a car in Massachusetts. Likewise, Homeowners Insurance is required to obtain a mortgage for a new home purchase. But, what if you’re just renting an apartment? While you may not be required by anyone to secure insurance coverage, a basic Renters Insurance policy gives you peace of mind and is much more affordable than you may think. In practice, a Renters policy is almost identical to a Homeowners policy – think of it as a Homeowners policy without the home. It provides the Named Insured with coverage for his/her personal possessions, including furniture, TVs, other electronics, clothing, food, and more. If you have expensive items such as jewelry or artwork, you can schedule them on your policy for their full value. Remember that if a fire or other catastrophe severely damages your apartment building, your landlord’s insurance policy will pay the rebuilding costs. But, the landlord’s policy will NOT pay to replace any of your damaged/destroyed possessions or any additional living costs you incur if you need to vacate the premises. Only a Renters policy will pay these costs. A Renters policy also provides Personal Liability coverage in the event you cause Bodily Injury or Property Damage to others, either at your apartment or elsewhere. The best part about all of this? Renters policies are extremely affordable. Annual premiums generally range between $200 and $500, depending on your Personal Property limit and a few other factors. And if you “bundle” a Renters policy with the same insurance company that writes your Auto coverage, you will typically receive an Account Credit on both policies. This credit on your Auto policy will often make up the entire cost of the Renters policy! If you’re already renting an apartment or plan to do so in the near future, contact Atchue Insurance for more information about how Renters coverage can help you!